The 5G system proposed for New Zealand includes the use of two main types of electromagnetic radiation (EMR). The second type is a type of electromagnetic radiation that has a shorter wavelength (and a much faster vibration rate) known as “millimetre waves”. 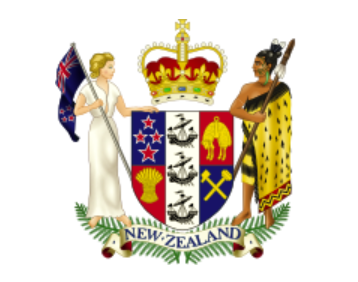 The New Zealand standard that covers microwave radiation and millimetre wave radiation is known as NZS 2772.1:1999. The emission that are allowed under NZS 2772.1:1999 vary according to the exact frequency produced by the many different devices that are designed to produce microwave radiation. The allowable (time averaged) public exposure level for microwave radiation ranging from 400 MHz to 2 GHZ can be calculated by dividing the frequency in MHz by 200. This gives the allowable limit in Watts per square metre. The allowable (time averaged) public exposure level for higher frequency microwave radiation (from 2GHz upwards) is 10 million microwatts per square metre. The allowable (time averaged) public exposure level for millimetre wave radiation is also 10 million microwatts per square metre. There are even higher levels allowed for brief (non time averaged) exposures and for people who are occupationally exposed to these forms of radiation. To put the allowable emissions for the NZ public into perspective, the international coalition of scientists who compiled the BioInitiative Report recommended an upper limit for microwave radiation of just 1000 microwatts per square metre. NZS 2772.1:1999 is designed to offer very limited human health protection. The standard is designed to prevent electric shocks and thermal injury (burns). Preventing these outcomes is a worthy goal of course, but give that there a large number of other potential adverse health effects from exposure to electromagnetic radiation (including microwave radiation) the inadequacy of NZS 2772.1:1999 is rather glaring. If a device complies with NZS 2772.1:1999, while it should not cause an electric shock or cause a user to be burned, the device should NOT be assumed to be safe to use. NZS 2772.1:1999 is designed to prevent electric shocks and sudden death but not other potential adverse outcomes from exposure to electromagnetic radiation. Most people would consider that representatives of the industries that produce any type of radiation that can cause adverse health effects should NOT be the same people who decide how much radiation is an acceptable level of radiation. Given that there are documented health risks from microwave radiation, you might think that as a home or business owner (or someone who rents a home or business premises) you would have some say about whether wireless infrastructure such as a cellular phone tower could be erected outside your home or place of business. Unfortunately, with NZ law and regulations as they stand at the moment, under most circumstances you have no legal rights to object to being irradiated by nearby wireless infrastructure – as long as the emissions comply with NZS 2772.1:1999 they are legal. Sally Gilbert, Ministry of Health. In 2015 (under the previous National-led coalition government) there was a consultation on the National Environmental Standard forTelecommunications Facilities (NESTF). Stop Smart Meters NZ produced a template submission document and encouraged supporters to make submissions. The submission which can be accessed from the link below is well worth reading. It appears to have been ignored by the relevant employees of the Ministry for the Environment. In retrospect, the use of the term “small unit” in the consultation document may be a sign that the aim of the consultation was also intended to allow for the future introduction of 5G and the Internet of Things, although neither of these terms are included in the consultation document. The original consultation document was removed from the Ministry for the Environment’s website but if you are interested in reading it you can download it by clicking on the link below. Another person whose name frequently appears on the list of members of the Interagency Committee on the Health Effects on Non Ionising Fields is Martin Gledhill who has provided consultancy services to companies in the electricity (see this link: http://www.stopsmartmeters.org.nz/government-and-electricity-industry-positions/is-this-the-reason-network-tasman-ltd-has-been-reluctant-to-answer-the-questions-about-the-radiofrequency-radiation-produced-by-its-smart-meters/) and telecommunications industries. The wireless industry in NZ has had what virtually any thinking person would consider undue and inappropriate influence over the development of the NZ standard (NZS 2772.1:1999) that governs how much microwave radiation is allowed to be emitted by cellular phone towers (and similar infrastructure). Similarly, the telecommunications industry has had what most people would consider undue and inappropriate influence over the standard (the National Environmental Standard on Telecommunications Facilities (NESTF)) that determines where cellular phone towers (and other wireless infrastructure) are allowed to be sited. However, the reports from the committee available on the WHO’s website (http://www.who.int/peh-emf/project/mapnatreps/nz/en/ ) and the Minutes of its meetings suggest that the committee has a pattern of dismissing research that most people would consider to show evidence of harm. Most people have no idea of how failure to take into account conflict of interest and/or ineptitude on the part of successive New Zealand governments has led to New Zealanders being exposed to unprecedented levels of microwave radiation. I hope that you will share this post widely to help your friends, family and colleagues understand why devices and infrastructure that produce microwave radiation that conform with New Zealand standards CANNOT be assumed to be safe. The sad fact of the matter is that the current system of regulation of microwave radiation emissions in New Zealand essentially provides a license to the telecommunications industry to legally produce levels of microwave radiation that have been linked to a variety of adverse health effects, including increased risk of cancers. Until the majority of New Zealanders realise that the current regulatory system for microwave radiation emissions is a essentially a license for the wireless industry to pollute –and sicken and even kill in its quest for profits – there is little chance that this outrageous state of affairs can be remedied. Editor’s note: This piece was written by a non-lawyer. Should any readers have knowledge of relevant law and identify any errors, you may contact the website editor via the Contact Form.